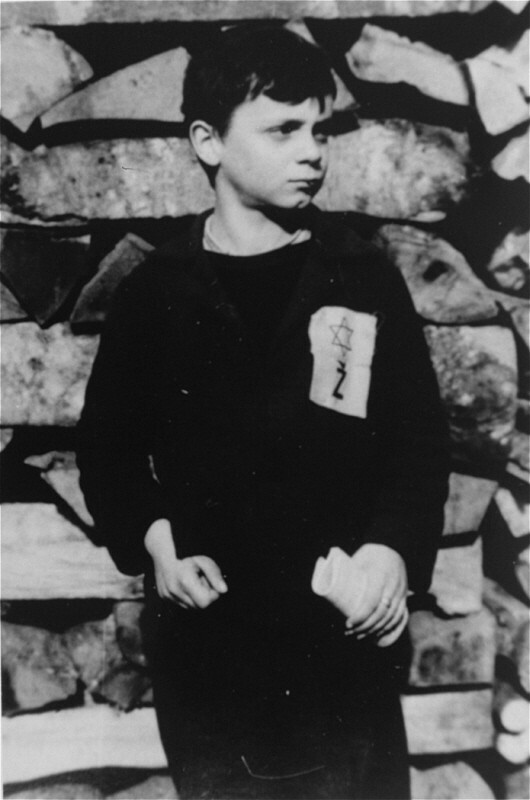 A Jewish child wears the compulsory Star of David badge with the letter "Z" for Zidov, the Croatian word for Jew. Yugoslavia, ca. 1941.